I have seen many math lessons around the world and it seems that math teaching has not changed during the last 100 years. How can students be prepared with this old fashion way for the future jobs that drive nation’s economy? How can they solve big global problems like poverty, unemployment and climate changes? Math is too much separated from the real life problems. Practicing mechanical tasks is effective on a short term, such as for the next exam. As time passes they forget what they have learned and often can’t figure out how to apply the strategy to the real life scenarios. If we are trivially repeating one assignment, how can we learn to use processes creatively in new situations? What if the lesson start with a problem related to students’ life or to their known world? What if we can bring the real life situations and problems into the classroom. What if you need knowledge from more than one subject to be able to solve the problem? What if you need to arrange and combine the information in a new way? This way math can become meaningful for the students. Instead of disconnected single tasks, interdisciplinary mathematics includes larger theme sections like climate, shopping, household, nutrition and health. In wider thematic entity we can broader the understanding of the usefulness of mathematics in students’ everyday life. 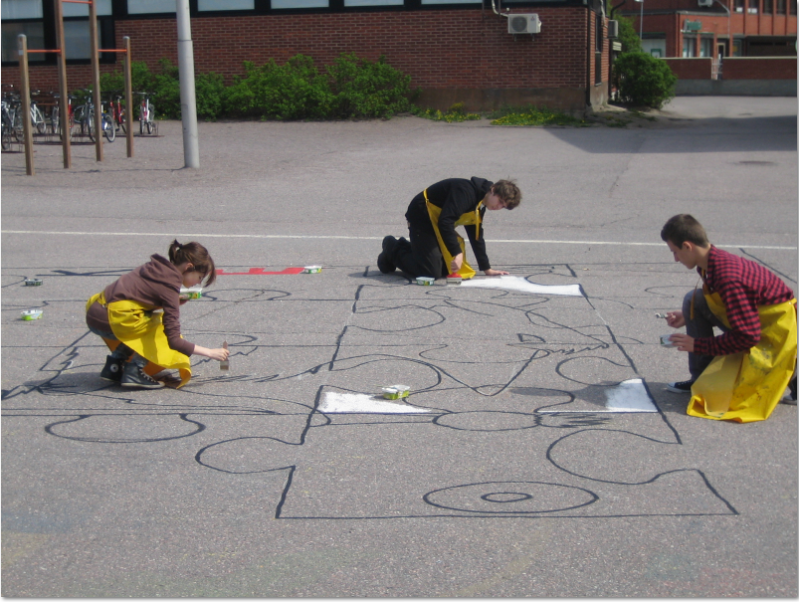 For example plan a outdoors game on the school’s playground. You can move on the game board by the rules student have done themselves or rules like the Star of Africa game. Students can do the question-answer pairs about the history of their municipality etc. In our school students were working during art, history and math lessons to finish the theme. All classes could play the game during recess or lessons. There was a civil war in Mozambique during the years 1976 to1994, and total 1 million people fled to neighbor Malawi. The refugees lived in 145 villages and camps which were spread over 12 regions. Students have to solve how to transport and share the food to refugee camps based on the information they get. This theme was done with the help of Finnish Red Cross. 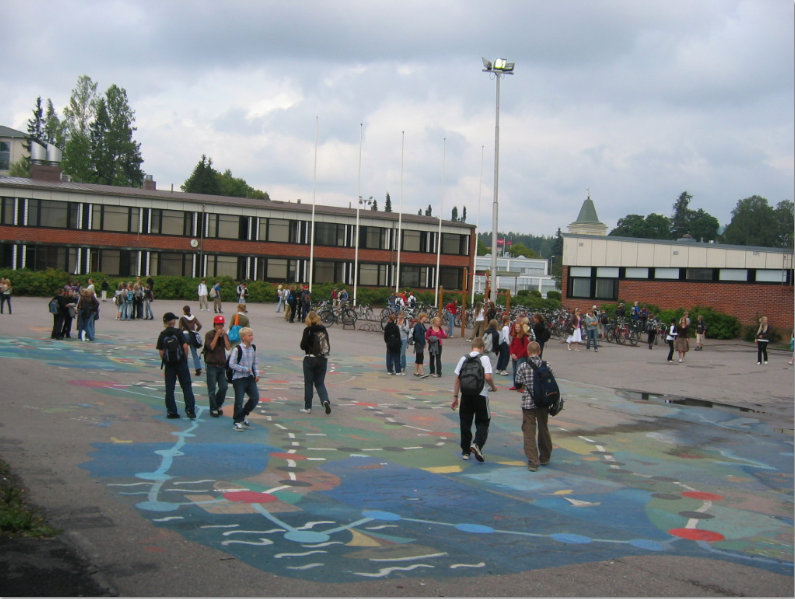 Today due to conflicts in several countries there may be refugees living near many schools. We have to prepare children to be global citizens in a world where humanity faces challenges such as combating radicalism and terrorism, overcoming poverty, building functional communities, and growing up to be engaged and responsible citizens.